Morrison and Foerster LLP is a premier law firm that understands the worth of the new technology, product and transactions of clients. The team of the office is always prepared to side by clients and help them create, protect and maximize their opportunities in the best possible manner. People come to this law firm with most challenging questions and it addresses them effectively with its wide experience and profound know how in the field of law. Being a full service, this law office offers legal solutions to clients with different needs and concerns. The team of Morrison and Foerster LLP includes individuals with diverse talents, backgrounds and experiences. The firm values the perspectives that the diversity of its team brings to it. The attorneys bring fresh ideas and offer creative solutions to complex legal issues. Over one thousand attorneys at its different offices are always there to assist people with their unparalleled knowledge and wide experience. Since 1883 the firm has been serving clients in the region with its profound experience that gives it a competitive edge over other law offices in the country. Morrison and Foerster LLP fosters workplace diversity and has got many accolades for its commitment in this regard. It has an active diversity program focusing on issues pertaining to race, ethnicity, identity and expression. The firm ranks at the top of surveys addressing workplace diversity.  It is also at the top of American Lawyer’s "A-List" rankings of law firms in the country. Morrison and Foerster LLP is always engaged in pro bono initiatives and serves the community with its superior legal advice and counsel. The firm knows the importance of giving back to the society and makes sure that all its lawyers benefit the community that cannot afford quality legal guidance in the best possible manner. Morrison and Foster is a law firm operating in San Francisco, California. It is one of the largest firms in not only America, but also the rest of the world. There are over 1,000 lawyers working for this firm in 15 state-of-the-art offices. Morrison and Foster LLP, also known as MoFo was founded back in 1883 by Alexander Francis Morrison. Morrison was a graduate of the UC Hastings College of Law. The lawyers at Morrison and Foster work on a wide area of expertise; some of these include securitization, financial services, joint ventures, real estate, land use, life science, environmental law, technology, mergers and acquisitions, strategic alliances and IP litigation. This firm also has had the honor of being the Chief International Counsel. They were the counsel for the Beijing Organizing Committee, which was responsible for the Olympic Games in 2008. Currently, Morrison and Foerster is involved in IPO practice for many emerging firms of technology, most significantly in San Francisco, San Diego, New York, Los Angeles and Palo Alto. Some of this work is conducted in the Asian branches as well. The American Lawyer’s A-List has always ranked Morrison and Foerster among the top firms. The best rank that this firm received in recent times was 2006, which was #6. Last year, they were ranked 13th in the United States. MoFo also received the Deal of the Year Award at the ALB Japan Law Awards in 2008. MoFo had offices in Century City, Irvine and Walnut Creek. Along with this, they also had international offices in Buenos Aires and Singapore. At the moment, this law firm has 16 state of the art offices all over the world. Their current offices in United States include Denver, Los Angeles, McLean, New York, Palo Alto, Sacramento, San Diego, San Francisco and Washington, D.C. Morrison and Foerster has also established themselves in Asia and the Europe. Their international offices include Beijing, Hong Kong, Brussels and London.